Stay-at-home father of two and product designer Colin O’Dowd is teaching kids how to put toy-making into their own hands. His interactive invention Stix Toys encourages children to self-assemble their own toys using materials foraged from nature coupled with everyday objects. Twigs, broken pencils and rubber bands once headed for the wastebasket equip an afternoon session of creative play. With little assembly required, Stix Toys enables parents and kids to bring out their inner MacGyver whether at home or on an outdoor adventure. Colin surveyed a cohort of dads prior to launching Stix Toys, and he discovered that most felt comfortable playing with their children outside. He also learned that dads were equally fed up with the current digital culture claiming play. Seeking to push the proverbial envelope and inspire kids to use their own creativity to make up their own games, Colin’s Stix packs emphasize the building of a series of toys out of the re-use and recycling of simple parts. A runner-up for the Designer of the Year award at the New Designers Show in London last year, Colin is in the process of planning a new series for the Stix brand to include a collection of dinosaurs and jungle animals. 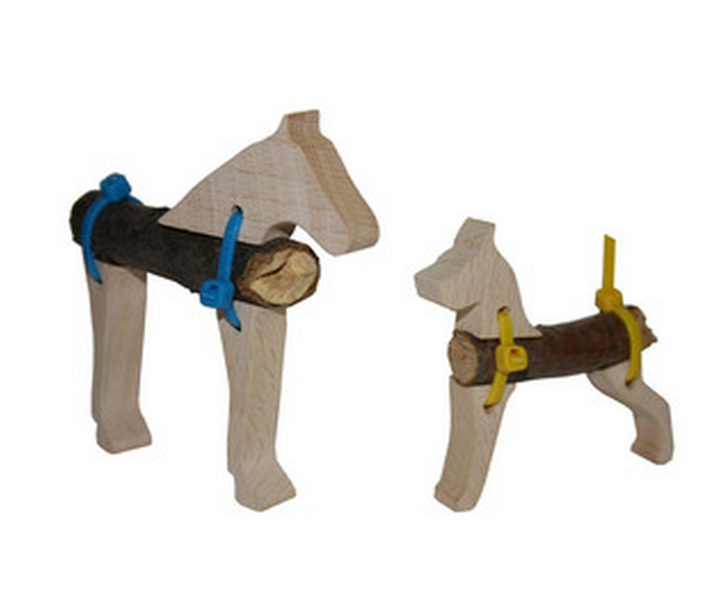 Get your hands on a Stix Toys pack at Firebox. Stay-at-home father of two and product designer Colin O�Dowd is teaching kids how to put toy-making into their own hands. His interactive invention Stix Toys encourages children to self-assemble their own toys using materials foraged from nature coupled with everyday objects. Twigs, broken pencils and rubber bands once headed for the wastebasket equip an afternoon session of creative play. 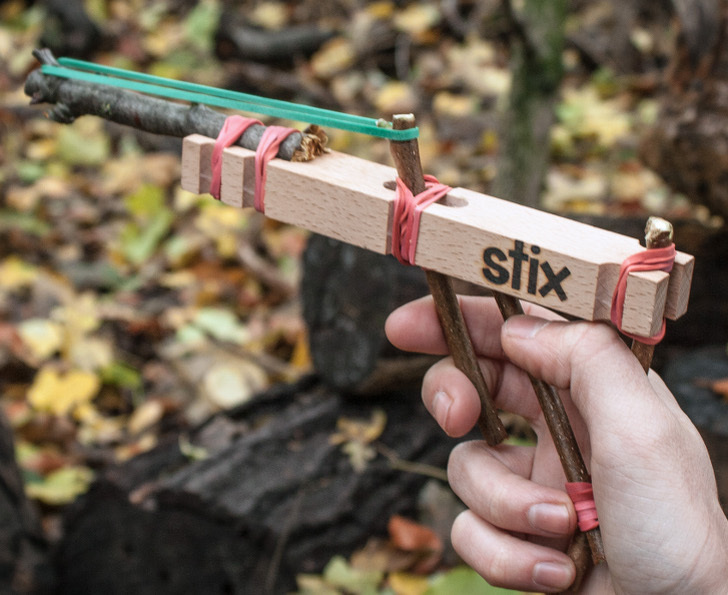 With little assembly required, Stix Toys enables parents and kids to bring out their inner MacGyver whether at home or on an outdoor adventure.